For the past few months, as most PSA members have been preparing for the 2019 meeting in Oakland, our team has been getting initial plans together for the 2020 meetings in Eugene. (That team includes Program Chair Elizabeth Sowers, Vice President-Elect Ellen Reese, and President-Elect Dennis Downey, working closely with our Executive Director Lora Bristow.) The theme of the conference will be “Democracy in a Divided Society,” and we’re working to ensure that the theme is reflected throughout the program. At this point, we’re happy to be able to share one early highlight of our preparations, and to offer a hint of more to come. We are excited to announce that Dr. Elijah Anderson will be delivering the Sorokin Lecture at our 2020 meeting. The Sorokin Lecture Grant is awarded by the American Sociological Association to support a lecture by the recent winner of a major ASA award. Dr. Anderson earned the 2018 W.E.B. DuBois Award for his Career of Distinguished Scholarship. His published books include rich ethnographies focusing on race in American life – sociological classics such as Streetwise: Race, Class, and Change in an Urban Community(1990); Code of the Street: Decency, Violence, and the Moral Life of the Inner City (1999); and The Cosmopolitan Canopy: Race and Civility in Everyday Life(2011). In our proposal to the ASA, we offered two primary reasons why Dr. Anderson would be such a welcome presence at our meeting. First, in recent years, the PSA has become a hotbed for ethnographic research (due largely to the vision and effort of Black Hawk Hancock), as indicated by its strong presence in our annual programs, including the innovative “ethnographers’ circles,” as well as in the special issue of Sociological Perspectives dedicated to ethnographic research (2018, 61(2)). Ethnography is a vibrant and exciting part of the PSA. Who better to tap into and to amplify that excitement than Elijah Anderson? Second, Dr. Anderson’s research speaks clearly to the theme of the meeting: “Democracy in a Divided Society.” Race is one of the dominant fault lines in American society, and his body of research represents an extended exploration of the contemporary contours of race and race relations. 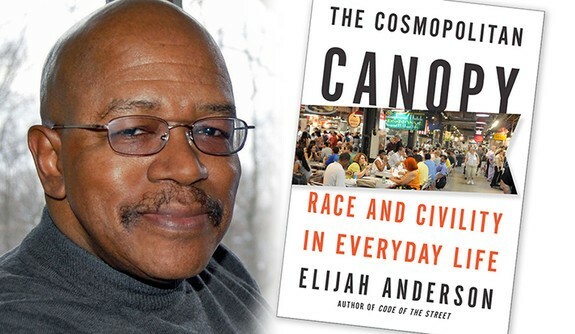 His most recent book, The Cosmopolitan Canopy, focuses on the infrastructure that supports “civility” in urban America, and how it promotes and shapes everyday interactions across race. It is an insightful study of how we can, and sometimes do, bridge racial and other types of social divides – which will be a thematic concern of our meeting. We are confident that all of our members (not only ethnographers) will be interested in hearing from Dr. Anderson. We are currently identifying other prominent sociologists to invite to the meeting, starting to organize some thematic panels, and pulling together a fantastic program committee to help organize your submissions into vibrant sessions. Presently, we would just like to offer some food for thought about one relevant aspect of the program theme for 2020. When we talk about a “divided society,” one of the higher level divisions occurs between urban America and rural America – what we speak of as the Urban-Rural Divide. American sociology has traditionally focused closely on understanding urban structures and processes (Elijah Anderson being a great example), but the focus on rural contexts has atrophied in recent decades – to the detriment of our discipline and its impact in contemporary debates. In order to promote greater attention to those issues, we will be adding Rural Sociology to the submission areas for the 2020 meeting. We’re pleased that Jennifer Sherman (Washington State University) has agreed to coordinate that area of the program. If you are working on projects related to rural issues, please consider submitting in that area. And for those interested in learning more about the contours and implications of the urban-rural divide, and how it is exemplified in Oregon, we will be posting some articles and other materials on our 2020 meeting homepage (still in development). Please have a look as you start to think about the meeting in Eugene. Keep an eye out for more information about Eugene and the 2020 meeting, on the website and in the spring and fall newsletters. We look forward to sharing a lot more about the exciting opportunities we have planned for you in 2020! QuestionPro has a program to provide survey software to nonprofits.